I did one from each house! The Daytona being the every day piece, the other two get a bit more babied! Nicely done, I just need the 5711 blue dial to complete my trio. It'll be a similar approach to yours. My three collection piece is in my avatar. With a three-piece collection, I like going for a blue/black/white dial combo. 3-watch collection is where I'm at ... it's a good balance and also probably about the max I'd feel comfortable with on my budget. At the moment my criteria is something like .. I'm seeking your sage advise oh wise Rolex Forum. 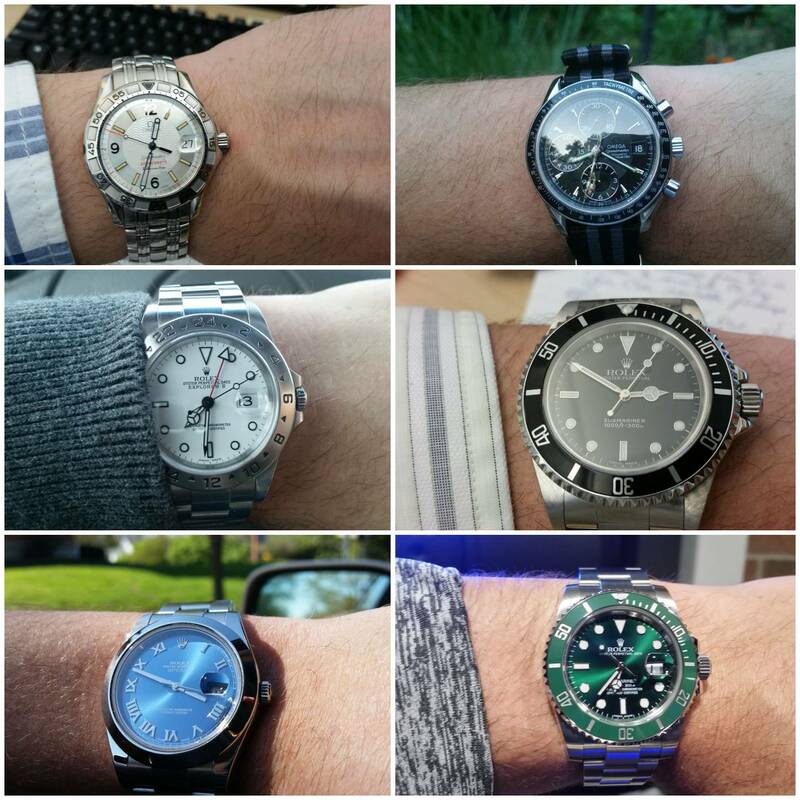 I want to build a 3-watch collection over the next 5-10 years. I have my first of the three with a Hulk Sub. 1. The more formal situations. Mr. Hulk is fine, but I'd prefer something a bit more refined. I actually really love the new Everose Datejust 36, but I'm really naive in this genre. Any good "affordable" PP to consider? 2. 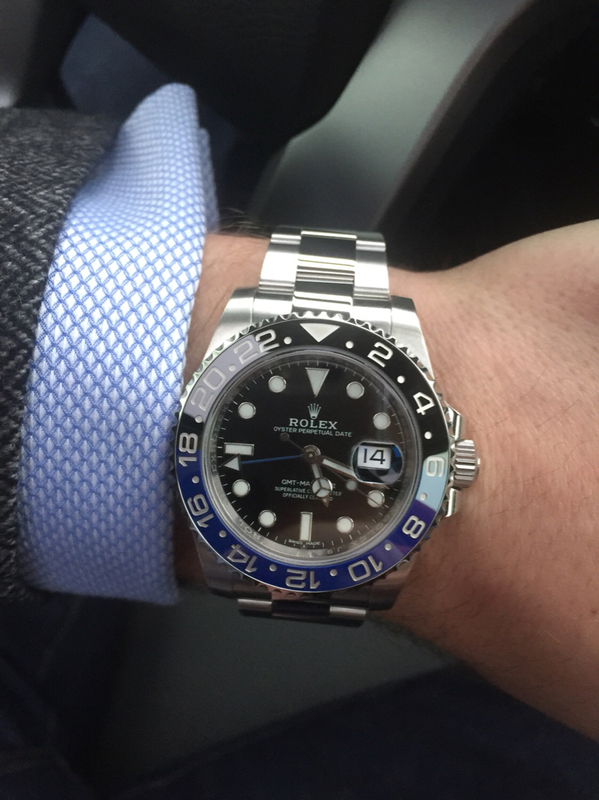 A GMT of some sort. I'm partial to Rolex and actually really like the new "Root Beer". However, what else is out there that I should consider? I used to be in love with the Daytona, but I've sort of lost interest in the chrono type watches as these are complications I would probably never use. My 3 piece collection actually falls in line with your budget and offers brand, complication and, color variety. I think mixing things up is an important rule to follow while putting together a small collection. Been collecting for 30 years so my tastes have changed a lot in that time span. 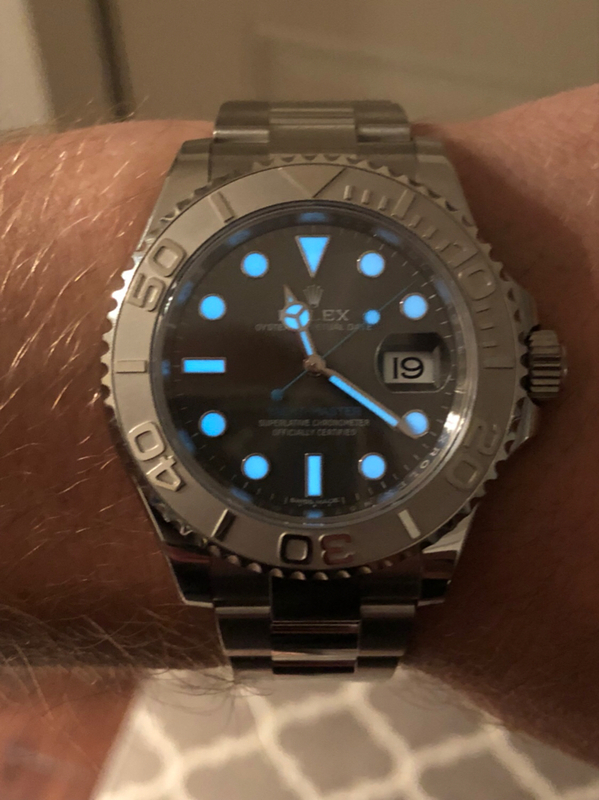 Currently wearing a 114060, 116613LB and a mint 16570 Polar in a rotation. Have a DJ and an OP but rarely wear them. These days I like diversity of colors especially different dials. In the past I have done the land sea air thing: Daytona white dial, Sub LN of some variety and a GMT Pepsi of some variety. I really like Subs and GMTs but not a big fan of Chronos so generally stick to those references these days even it is does not make sense to others. 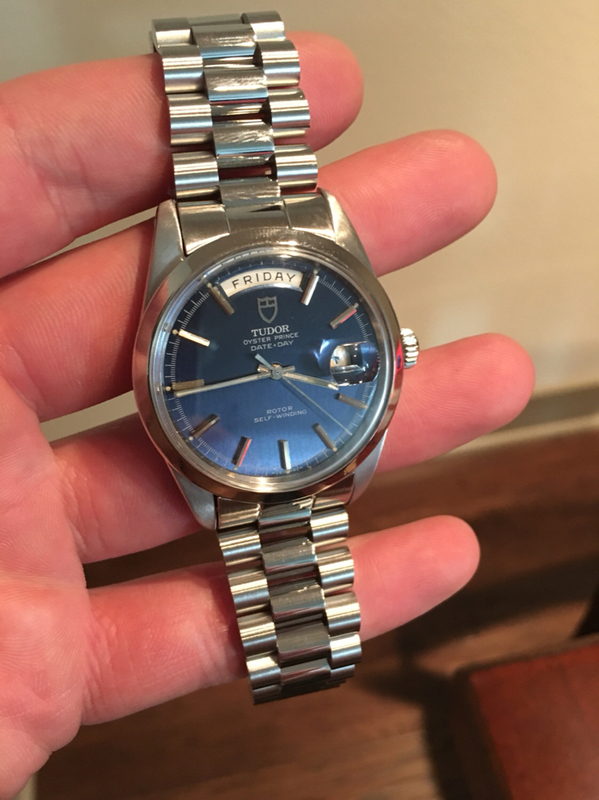 Love a nice "real" dress watch, but just cannot justify the expense to be rarely worn. In my work and social environment I just do not need a ALS or PP dress watch even though I dig the looks of them. Only watches I am interested in these days: Sub LV and GMT BLRO SS. Get something you really like and when another sings to you get that. Your tastes will change so it is hard to plan a collection out that far in advance. Plus they make new models from time to time. Maybe something will really grab you that you had not even thought about before. This is a really good strategy. I have 10 watches, but many are redundant to these three basic categories. 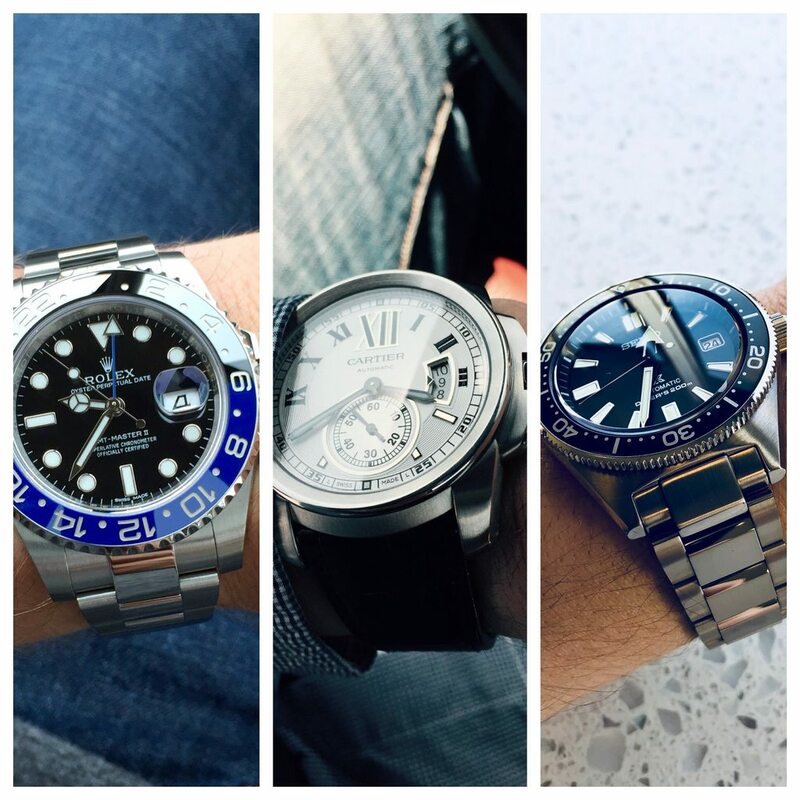 My daily wearers are my GMT-Master II, Submariner Date, and my Speedmaster. My fun pieces are my Panerai and IWC. My dress piece is my Datejust 41. That is a lovely 3 watch collection. I am all for a three watch collection. My philosophy is to only buy watches I can use as a daily beater and are happy to wear in all occasions. 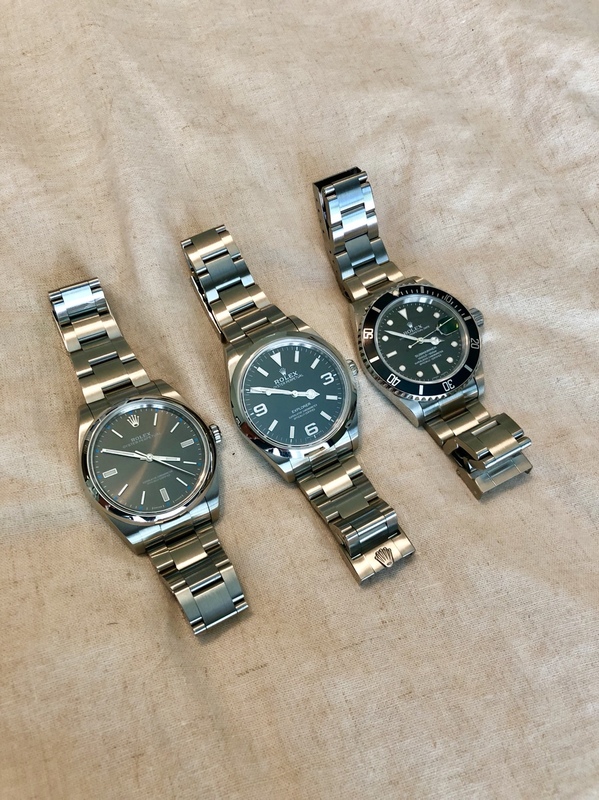 I trimmed my collection down from four Rolex's to one, and then added another one. So now I have the following two as my daily beaters. For me, going against TRF norms... 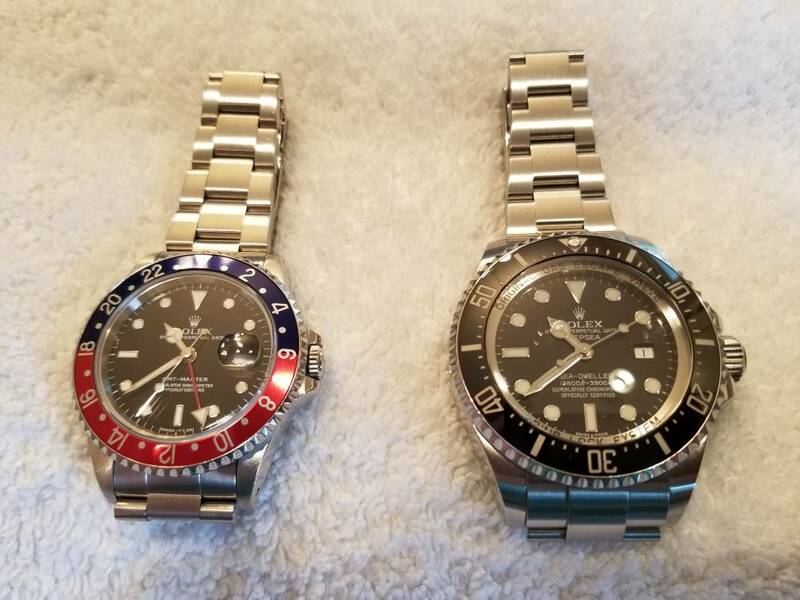 I would find it extremely boring if all 3 of my 3 watch collection were all Rolexes regardless of which models but especially if the 2 of 3 are both a GMT and Sub (basically same case). 1. Daily for something you can wear all the time: whenever and wherever. 2. Flex can be suitable for daily use but also brings something different that makes it a bit more interesting. More like a weekend wearer but robust that can be a daily too. 3. The "special" is a watch you bring out "occasionally". The hybrid of a weekend and nice occasion watch and usually commands the highest value in my collection. Its the one that would make me giddy every time I wear it and not over worn where it becomes just another watch. This of course is a 3 watch collection... whether it happens or not is another story. AP may drop down to Flex and hopefully get a Patek as "Special" but I really want a Daytona C White Dial as the Flex. The perfect 3 watch collection? I’ve been searching for the perfect 3 watch collection for close to 20 years, in that time I’ve seen about 40 watches come and go. I’ve had more than 3 watches many times and sometimes less but felt that 3 was a good manageable number. 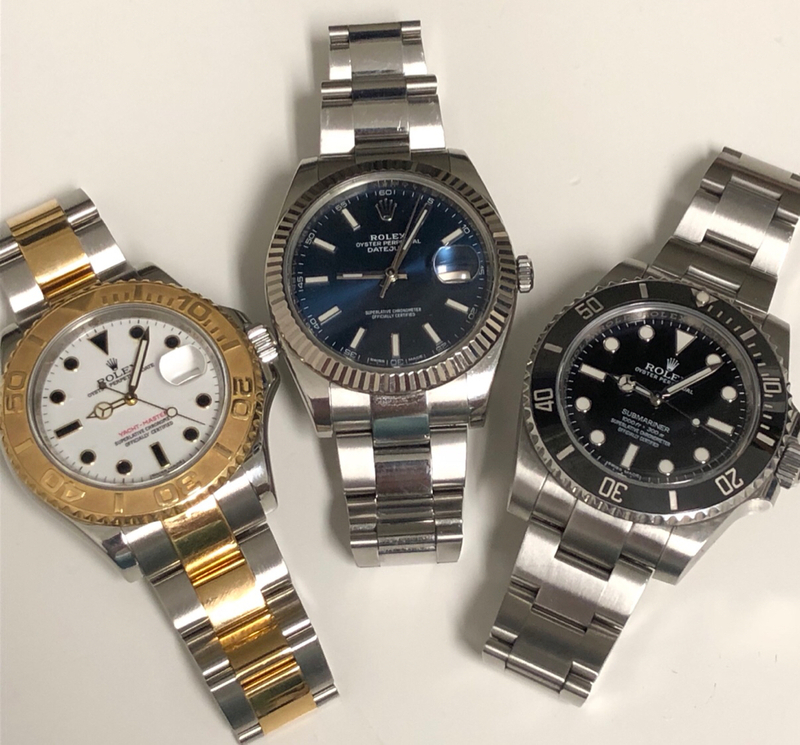 What I wanted in my 3-watch collection was simple really, I wanted 3 that I always wanted to wear and that I didn’t favor one over the other, in the past I tended to prefer 1 of my watches over the others. After all these years, I’ve finally “for now” reached my perfect 3 watch collection. 3. Rolex Daytona white ceramic. It’s going to be very hard to displace one of these three. I have a 5 watch collection 3 Rolex, 1 Speedy, 1 Oris, and I’m thinking I have two, too many. 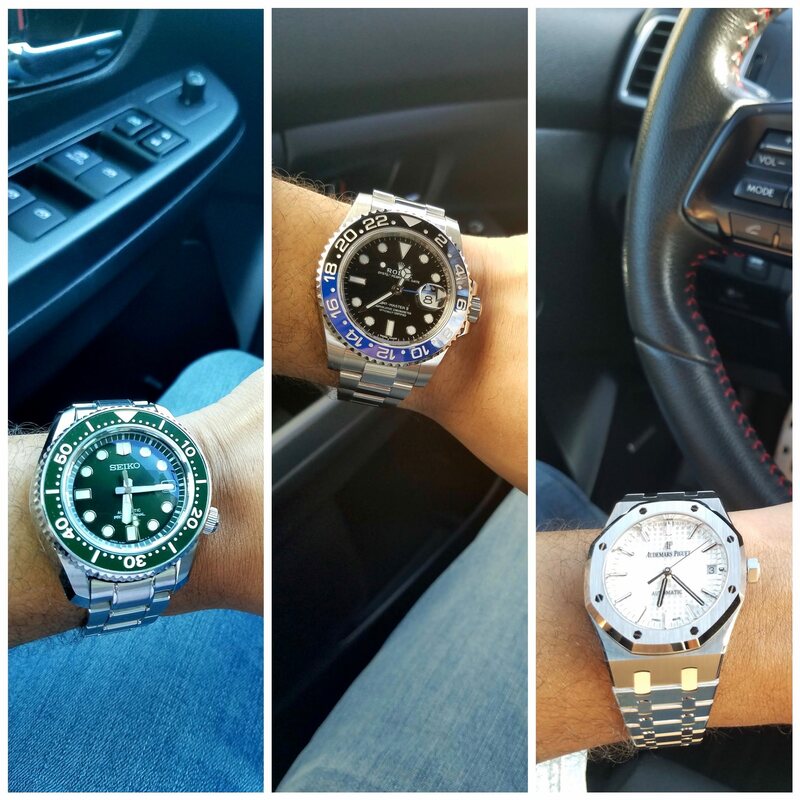 I have the first two and will hopefully add the Milgauss by the end of the year. My favorite color is blue and the above three make for a trifecta of non-overlapping Rolex blues. I also am adding some Everest straps to cut back on the PCL-fest I have going on. I'm currently 2/3 there. GMT is the daily. DSSD is the fun weekender. 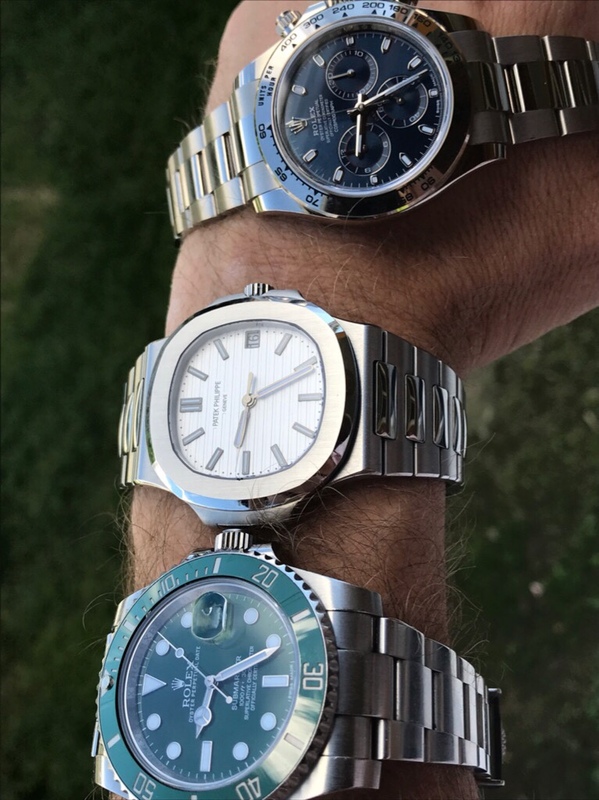 I rarely have an occasion for anything formal, so I'm currently narrowing down to a 16233 white dial with romans or a TT bluesy. Whittled down from the other pic collage over the last couple of years. 3 seems like the absolute sweet spot. My GMT only comes out when I have to wear something other than Lululemon (which is super rare since I work for myself). Does Lululemon make guy's clothes now? BTW, great stock! How much higher can this thing go?? 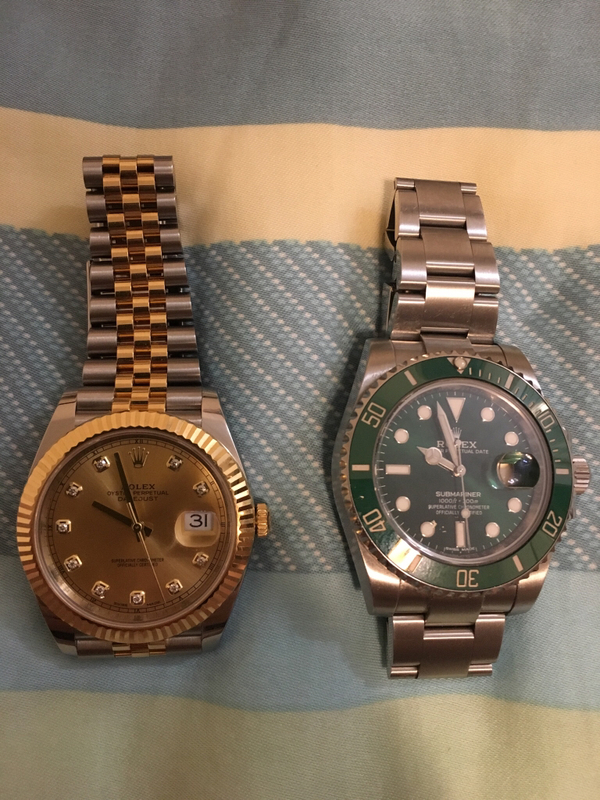 You have a Sub, add a Datejust and GMT. "Daily" - 42mm black Explorer II - brushed, great modern size, fits my style. "Mix In" - 40 mm black GMT Master II - change of pace....flashier than the Explorer II. This could get flipped if/when the SS Pepsi comes in (I'm #1 on the list). "Dress watch" - 39mm JLC Master Control w/ date - this is a category that's been missing from my collection for a long time, but I think I can work it in more than I realized. Coming soon I hope! Omeg SMP but soon replace by Submariner SS or Batman. Watch: me find "the one"
This. With a few extra of course!